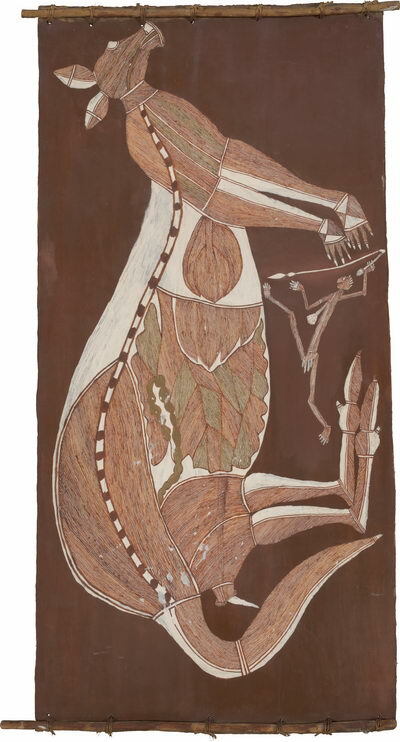 Delicate and rare bark paintings from the National Museum of Australia’s signature collection are headlining an unprecedented exhibition tour of Arnhem Land artworks across China in 2018. The Old Masters exhibition featuring over 150 artworks and objects opened at the National Museum of China in Beijing on 3 July 2018 and represents the most significant collection of Aboriginal barks to tour China. With over 2000 works of art on bark, the National Museum holds the world’s largest and richest collection of bark paintings. 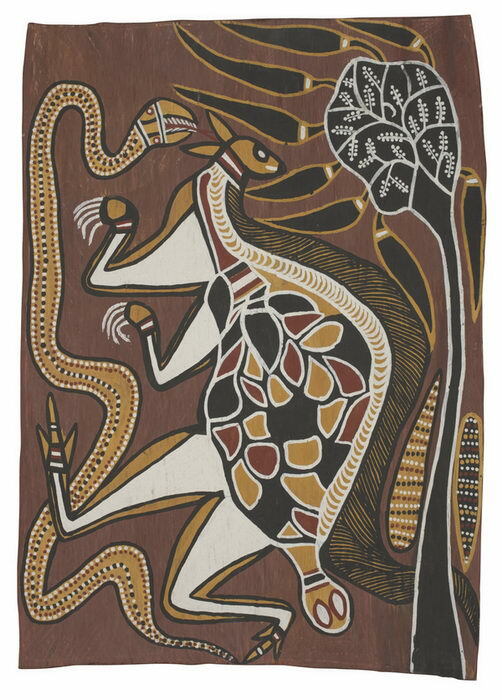 Old Masters highlights the works of master painters, from western, central and eastern Arnhem Land. The exhibition plans to tour the mainland of China for 20 months before heading to Taiwan, reflecting the strong international interest in Australian Indigenous art and culture. 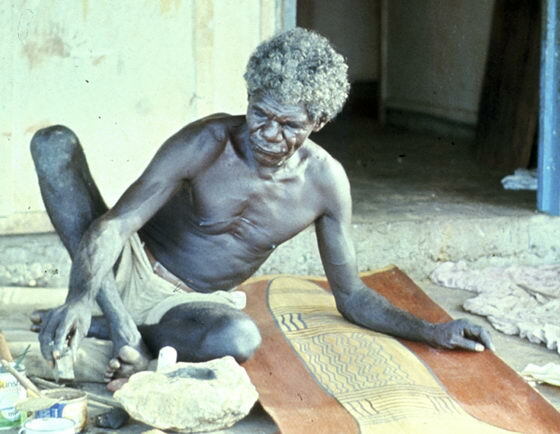 Aboriginal and Torres Strait Islander communities have inhabited the Australian continent for at least 65,000 years and their rich and diverse culture is reflected in the barks’ intricate designs. 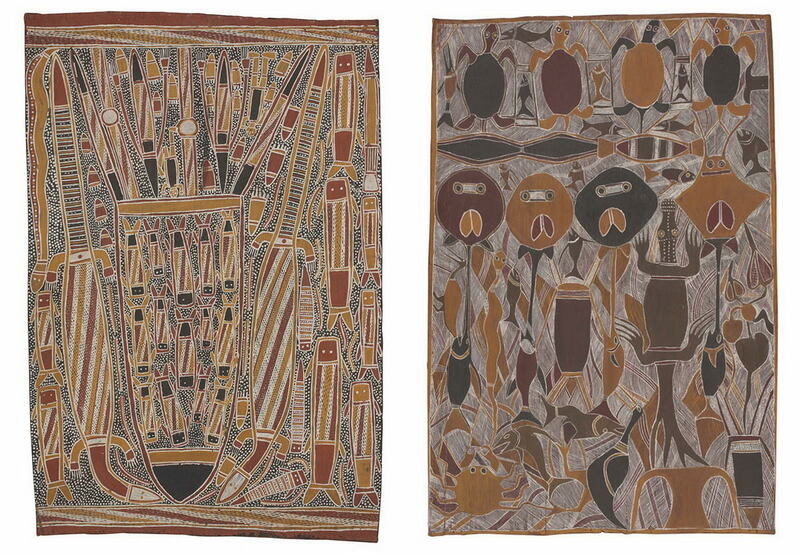 “This delicate and beautiful collection of Arnhem Land bark paintings is one of Australia’s great cultural treasures and the National Museum of Australia is delighted to share them with Chinese audiences,” said National Museum director, Dr. Mathew Trinca. National Museum senior curator Dr. Michael Pickering said Aboriginal Australians boast one of the world’s oldest continuing art traditions. “The three different regions represented in this exhibition have very different painting styles and we know overseas audiences will be fascinated by their depictions of Australian plants, animals and Indigenous culture,” said Dr. Pickering. 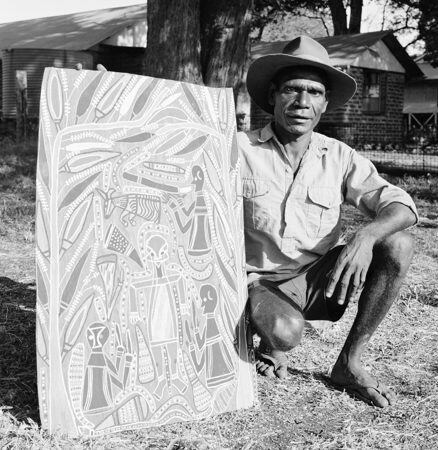 The exhibition features master painters including Yirawala and Narritjin Maymuru, Mawalan Marika and David Malangi. The 123 works were painted between 1948 and 1985, and most featured in the Old Masters exhibition at the National Museum in Canberra in late 2013.